One of the first things a player will notice when start playing a game, is the quality of their surroundings. Is it filled, empty, are the colors alright, not to dark because you can’t see, not to light because it spoils the atmosphere. Because this game is a learning in progress and there has been some progress. 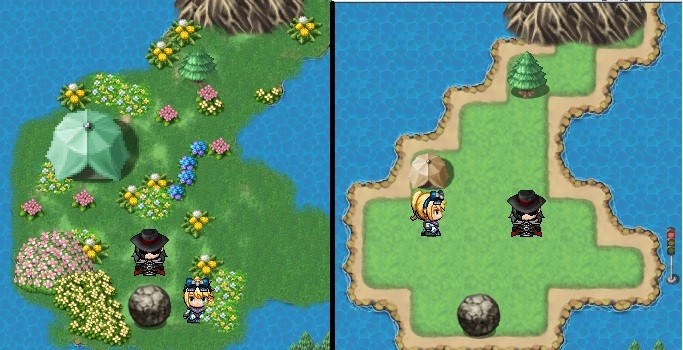 Watch the before and after match of a screenshot of the demo map which got a slightly updated tileset… Any feedback is appreciated off course. Updated the tileset for the demo map.